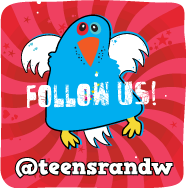 **Giveaway ALERT! A comment on this post (within 7 days of post date) gets you 5 extra entries in our MegaBook Giveaway. If you haven't entered yet, go to the contest post (or click on the contest link on the upper right sidebar) to enter! Good luck! Marrying a vampire definitely doesn’t fit into Jessica Packwood’s senior year “get-a-life” plan. But then a bizarre (and incredibly hot) new exchange student named Lucius Vladescu shows up, claiming that Jessica is a Romanian vampire princess by birth—and he’s her long-lost fiancé. Armed with newfound confidence and a copy of Growing Up Undead: A Teen Vampire’s Guide to Dating, Health, and Emotions, Jessica makes a dramatic transition from average American teenager to glam European vampire princess. But when a devious cheerleader sets her sights on Lucius, Jess finds herself fighting to win back her wayward prince, stop a global vampire war—and save Lucius’s soul from eternal destruction. Yes, another vampire book and I picked it up. Can't fight that addiction. This time that was a good thing. This is a really fun vampire tale. Jessica is a charming character who is lucky enough to garner the attentions of the luscious Lucius. He comes waltzing in (of course he can dance) and all he's missing is the gallant steed. I mean this guy is so hot and suave that the only unbelievable part of this book is why Jessica doesn't swoon and fall at his feet from the get-go. Yes, she is this analytical girl who sees things in black and white and doesn't believe in myths like vampires, but this guy is gorgeous and aced the Advanced Seduction course. He is every girl's fantasy of tall, dark, handsome and charming. Yeah, he's a bit arrogant but he's a prince and doesn't that come with the territory? But he learns to appreciate Jessica's down to earth attitude, independent spirit and generous heart which only makes us adore him more. The point of view shifts from Jessica's to Lucius, but the author does something interesting by giving us Lucius' point of view through his personal letters to his uncle, and I think it works well. Their differing perspectives on the same scenarios is often humorous. This story is a fun romp to ride along on, with good characterization as well as twists and turns to keep the reader turning pages. Of course, danger lurks, romance is threatened, the fate of the world lies in these two young lives, and Jessica doesn't realize what she's got until it's gone, at which point she must swallow her pride and fight for it. Ah, yes, young love and vampire romance. This one delivers a good yarn for us vamp-aholics! Cover: I think it's cute. Love her pretty dress. First Line: The first time I saw him heavy gray fog clung to the cornfields, trails of mist slithering between the dying stalks. Good. It gives me an eerie setting and feels mysterious and ominous while anticipating who this stranger is going to be. Fantaskey's next book, Jekel Loves Hyde is due out May 3. I'll double u p this post by listing it as a Waiting on Wednesday pick. I loved her knack of storytelling and think Jekel Loves Hyde will be another winner! Jill Jekel has always obeyed her parents’ rules – especially the one about ne ver opening the mysterious, old box in her father’s office. But when her dad is murdered, and her college savings disappear, she's tempted to peek inside, as the contents might be key to a lucrative chemistry scholarship. To better her odds, Jill enlists the help of gorgeous, brooding Tristen Hyde, who has his own dark secrets locked away. As the team of Jekel and Hyde, they recreate experiments based on the classic novel, hoping not only to win a prize, but to save Tristen’s sanit y. Maybe his life. But Jill’s accidental taste of a formula unleashes her darkest nature and compels her to risk everything – even Tristen’s love – just for the thrill of being… bad. Jessica's Guide to Dating on the Dark Side has just been added to the MegaBook Giveaway. Hope you enter and Good Luck! Jessica's Guide to Dating on the Dark Side has been on my wish list for a while now. It looks like a fun book. I hadn't noticed that Jekel Loves Hyde is from the same author (needs to pay better attention). Thanks for pointing that out to me. I didn't love Jessica. I think they are too many vampire books out there. I too am addicted to vampire novels. I just can't help myself. Jekel Loves Hyde looks really good too. I wonder if there used to be this much vampire novels before twilight. lol. I didn't even realize those 2 books were by the same author. They're both on my to-read-list. Jessica's... has such a cool title and I love the premise for J&H! Jessica's Guide to Dating on the Dark side sound interesting. I am not into all of the vampire books but I have a student who is. I had to tell her she had to read all of my required books before she could read anymore vampire books. She completed them all in one week. This goes on my list for her. Jekyl loves Hyde sound more interesting to me. I loved Jessica's Guide and the point of view shifts but Lucius really annoyed me when he started... doing stupid things. I loved JGTDOTD.....My fav part, when she stands up and smacks him across the face...whew...go Jess!!! Sounds like great books, and I love the covers! I want to read them!! Great review. I have never read this before. I have seen the cover, but never read the summary. Sounds great. I will be adding it to my wishlist and and JLH, already there. I want to read Jessica's guide ... and Jekel loves Hyde sound great!!! Yet another great recommendation from you guys!! So glad you liked Jessica's Guide to Dating on the Dark Side. I have it on my wish list but had been seeing some mixed reviews. Both of those books look fabulous! I'm a little ready to move away from the vampire craze, but since it looks like Beth Fantaskey is spreading from vampire to Jekyll & Hyde, I applaud her & will keep an eye out for these books. Both books look like great reads!! Sigh.... more to add to my wish list. I have Jessica's Guide on my shelf to read, I can't wait to read it. Thanks for the great review, makes me jazzed about it again. I already have Jekel love Hyde on my wish list! can't wait! I just got Jessica's Guide in the mail, I cant wait to read it, what a wonderful review - and Jekel loves Hyde looks soooo good! Great review.I just bought this book and I'm looking forward to reading it. The author also wrote their wedding and you can get it from her site. Great review! This book sounds great as does Jekel Loves Hyde. I'll definitely have to read Jessica's Guide soon. Hm...not a book I think I'd be interested in, but I enjoyed the honest review! It seems good! But i wanna read vampires books for now. I had enough with twilight. I prefer Jekel Loves Hyde, I'm just fed up with all these vampires. But, good review! This was one of my favorite books I read last year!! 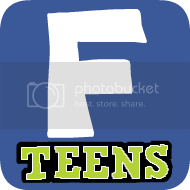 I am a fan of vampire books, juts love reading them. I first heard about this book from another blog, i was dying to read it but the review left me feeling a bit disappointed about the book, but after reading this review i think i'll give it a shot. Great review. I had mixed feeling on this book. I really liked the story but got annoyed during part of it too. And I think the ending could have been better. Its asking for a sequel. I've heard a few mixed reviews on this, but I'm happy to know that an avid vampire lover picked it up and enjoyed it. I'm really looking forward to reading Jekel Loves Hyde, so I should probably read Jessica's Guide first, just to get a feel for Fantaskey's writing style. Great review! I loved Lucius letters! They made the books so much better. Can't wait to read Jekel Loves Hyde! I think that one of the highlights of the books for me were the letters that Lucius sent home to his uncle. I am really looking forward to Jekel Loves Hyde too. I love that title. Vampire books too hehe, I'm guilty. also looking out for this one Jekel Loves Hyde. Thanks for sharing your views Al! Yep, I REALLY liked this one! I can't wait for Beth's next book. Great review! Great review! I think I'll have to find me a copy of this one. Every time I say "No More Vampires!" I find another vamp book I actually like - go figure. I can't wait for J♥H! I like the first line to Jessica's Guide to Dating on the Dark Side. I agree it does give the eriee feel. These books sound really good but I'm not too sure about Jekel Loves Hyde. But I'll give it a chance! I'm a bit weary of Vampire books at the moment but might pick it up later. I'm excited about Jekel Loves Hyde though and both covers look so pretty. I wasn't planning on reading this book, but after reading your review, I just might have to look into it. Thanks! I've been wanting to read Jessica's Guide for a long time! Great review. AHHH! I love Jessica's Guide To Dating On The Dark Side! Such a great book. Awesome review. I read JG right after it came out. I did enjoy the book, just felt that it should have been a series or maybe a few more pages. The ending seemed a tad rushed to me. As always, Thanks for the great review! How come every day I come over I discover new books I'd love to read? This is going to be... OMG they both sound awfully great! i bought this today! i have been looking at it for a while and you just cemented my good choice!!!! thank you! I'm going to have to pass on this one, I'm a little burnt out on vampires. Never thought I would say that though. I am so vamped out, I am almost faried out as well. Oh gosh! I had forgotten about this book, but I remember that I was dying to read it. I'm wanting to again. :) It's really awesome that you also liked it. These both sound like good books - I will have to bring the vampire one to my oldest daughter's attention. I really havent read not one bad review of this book. And I still have yet to go pick it up. Shame on me!!! But I recieved Jeckel Loves Hyde in the mail and I hear its just as good!!! Great review!!! As for Jekel Loves Hyde, I'm a bit hesitant. I might wait for the first few reviews. I've seen this book around and thought it looked like just a fun read - nothing serious just fun. From your review it sounds like that's exactly what it is! booth books have been on my radar lately. thanks for review Alyssa ! Ooooh! Awesome! I haven't heard of this book before, and now that I have, I totally wanna read it!! Great review! On the Jessica book I would probably pass. But the Jekyl Loves Hyde sounds like an awesome new take on an older classic. And it's kind of refreshing to see a new paranormal element for her new book not just vampire, vampire, vampire! I love the analogy of teenage boys to Vampires. The teenage dating scene is such a snake pit, it feels jut as if you are going to loose your soul over the slightest mistake. I started listening to this one on audio and couldnt stand the narrator, looks like I should read it. Thanks for the great review! These books sounds great! I'd love to read them! 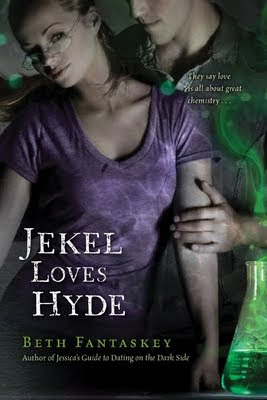 I loved this book and can't wait for Jekel loves Hyde! Jessica's Guide to Dating on the Dark Side sounds good to me. Jekel Loves Hyde, not so much. But dang, I'm so biased towards Vampires! Now I'm waiting for Jekel Loves Hyde! Both books sounds good. Great review! Happy to hear you liked it. I read this one a while back. I read the first one right after it was released and enjoyed it. I look forward to the next one now. Great covers too! I'm pretty much addicted to any paranormal or urban fantasy books with most supernatural beings, both YA and Adult. Loved this book and can't wait for Jeckyl Loves Hyde. You guys have done an awesome job with this blog! I enjoy your reviews. Glad I'm not the only one slightly obsessed with vampires. I've been hooked since Blue Bloods, haha, sadly, I haven't found any other books I could get into. This one sounds pretty good though! I really enjoy reading about vampires and paranormal stuff in general too! It seems like this book would be one of those borrow-don't-buy books for me. I mean, it seems like it will be a silly, cliche read. It could be good, but not worth my money. Ask my friends, though, and they'll say I'm crazy since they're obsessed with vampire stories. Both Jessica and Lucius seem liek they're going to be the poorly-written character types. I might read it if I pick it up from the library shelf, but not otherwise. Jekel loves Hyde sound awesome!!! Both of these look good. There does seem to be a lot of vamp books out there though. After awhile it might be hard to come up with something unique in the mythos. These books look great. Both are on my wishlist right now. I'm currently reading Dr. Jekyll and Mr. Hyde, so I'm especially interested in a spin off. Both of them sounds interesting. Great review! This sounds pretty interesting, I'll have to look into it. Jekel Loves Hyde sounds pretty good too. I heard about this one a while ago, but forgot to add it to my tbr list. Thanks for reminding me! I loved this one! And I agree, it was great and fun reading Lucius' point of view through his letters. I can't wait to read Jekyll Loves Hyde - I think Beth is going to churn out another winner! 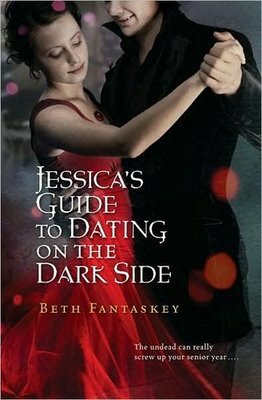 Jessica's Guide to Dating on the Dark Side is in my wish list! I simply love that cover !!! Jessica's Guide to Dating on the Dark Side doesn't attract me all that much - the cover is very pretty, but I'm not sure I can take another vampire teen novel. On the other hand, the plot description for Jekel Loves Hyde is *very* intriguing. I liked this book but for me, it fizzled out with about forty pages left which is disappointing. I wanted a big satisfying ending! Love the cover, the red dress is just stunning! But I'm not too keen on reading another vampire-related book so I'll have to pass it. Jekel Loves Hyde on the other hand, sounds really interesting. Can't wait to get my hands on this. Ooh, I was wondering about this one. Sounds like something I'll look into for the near future. Thanks for your review! This one never really caught my eye. So many vampire books out there and all. Now I'm more interested! It sounds like the kind of enjoyable novel that could cheer a person up. I also love shifting viewpoints, wish more books with romantic focus offered that. Nice review. I'm looking forward to reading this one... I was just reading the excerpt of JEKYL LOVES HYDE on the author's website. This author is one red-hot writer. I can't wait to see that one!